Fashion is part of our culture, expressing our identity, personality and values. However, it is also an expression of waste and disregard toward the environment. Fashion is the second most polluting industry in the world (lso Morrish D., 2017, p. 280). This is why sustainable fashion has become the new trend. 62% of Italian customers are interested in sustainable fashion. Currently, only 11% always buy sustainable fashion. This is because they face problems: low availability of sustainable brands, low reliability of brands’ claims and low fashionability of sustainable products. If we consider a traditional t-shirt, it impacts environment and society on multiple sides: materials, production, distribution, transport, packaging. Sustainable brands are introducing great innovations such as orange fiber and recycled plastics; however, one innovation is usually not enough to make the whole supply chain sustainable and this is why customers face difficulties finding sustainable brands and trusting their claims. This is why Cikis was born. 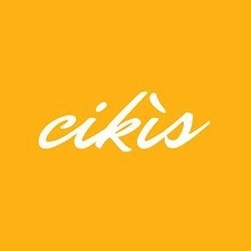 Cikis raises awareness on true sustainability in fashion. Sustainable fashion is made with recycled, low impact and recyclable materials; production is efficient, zero waste and with reduced use of chemicals; distribution has a high sale to production ratio; production is made close to the point of sale and transport is carbon neutral; packaging is recycled or compostable; finally; it does not include workers exploitation and often gives jobs to disadvantaged people. We raise awareness through the Cikis Sustainability Index (CSI): we test brands’ impact, we analyze each phase of the lifecycle and we rank brands and collections. We put the CSI at good use in the Cikis platform. Brands take the online test and get the ranking; if they are above our standards they enter the platform; based on results they understand in which areas they need to improve and they can buy our sustainability packages ranging from green shipping to flyers and emission compensation and take advantage of our consulting services. Customers get on the platform and browse products with filters and ranking; they discover products thanks to high quality pictures and stories; they buy and enjoy a sustainable buying experience with our sustainable features and services such as zero-emission website, green shipping and recycled packaging. We solve customer needs and we allow brands to understand how to improve impact and sales.